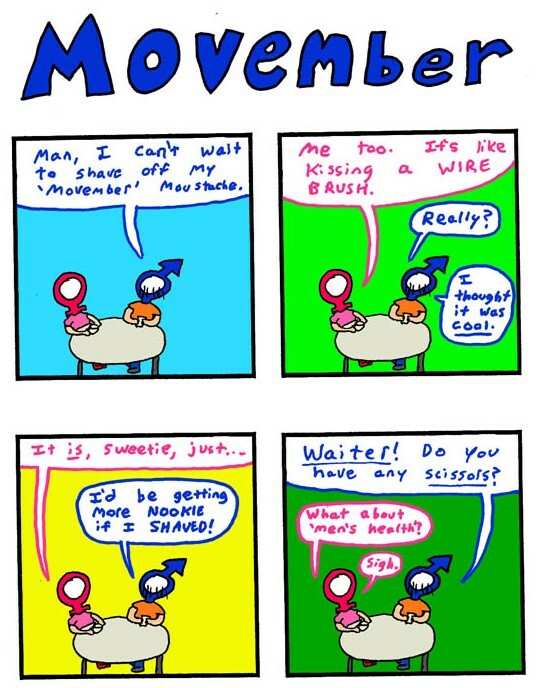 Background: Movember is meant to highlight men's health issues. Mainly by growing a moustache. It's gotten varying results, depending on who you talk to. I've participated in previous years, this year I'm doing my bit from the sidelines.